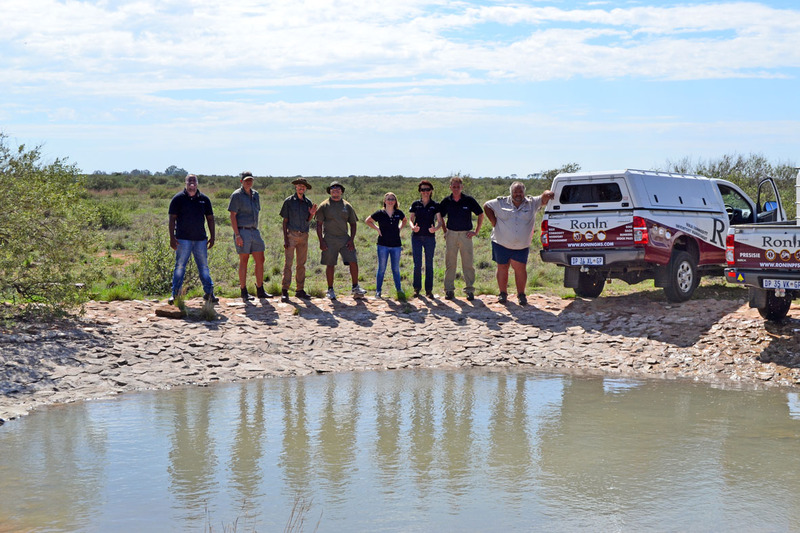 On the 26th of January 2016 a convoy of 5 Ronin vehicles, loaded with approximately 4000 litres of water, headed for the town of Vryburg in the North West Province for Project Water Drop. Simultaneously the Jackaranda Water Drop project had about 2 million litres of water heading for Lichtenburg. They certainly required no further assistance with their main drive but when we contacted them they indicated that if we still wish to assist we should head for the town of Vryburg that also had reported water shortages. Upon arrival in Vryburg we headed for the local Pick & Pay where we handed out the 2 litre & 5 litre bottles we had on board. After about two hours on location we realised that it was not the human population hardest hit by the drought but rather the animals of the area. Furthermore the human need was also being taken care of by the local Pick & Pay’s own in-store water drive, so we decided to change focus. We made a few phone calls to farmers in the area and were pointed in the direction of the local (Leon Taljaard) game reserve that was currently experiencing a critical water shortage. We contacted the reserve and made arrangements to visit the next day. In comparison to the main water drive managed by Jackaranda stereo our effort was not even a drop in the ocean but at least for the next few days these animals will not have to go thirsty.